In "The Legend of Sleepy Hollow", a short story written by Washington Irving, the town's rigid schoolmaster, Ichabod Crane is tormented by the ghost of a colonial Hessian soldier – without a head! As the story goes, this particular solider was decapitated when a cannonball came barreling right at him during a battle for Chatterton Hill. The Headless Horseman gallops around Sleepy Hollow on horseback to warn travelers of actual danger. 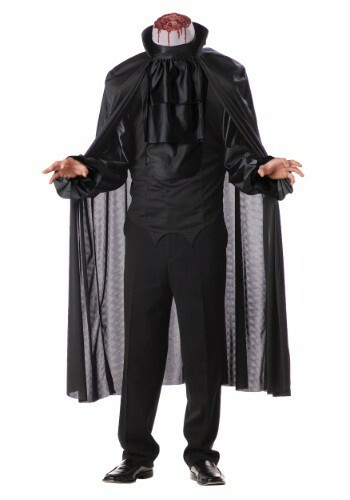 You’ll quite literally loose your head over a Headless Horseman costume. 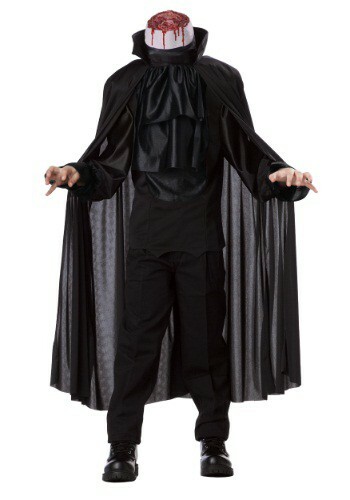 Available in sizes to fit children through adults this ghostly solider costume features an all-black outfit with a flowing cape and “see-through” lace jabot that rises above your own face to give the illusion of decapitation. Quite a fight, your friends will wonder how you did it! 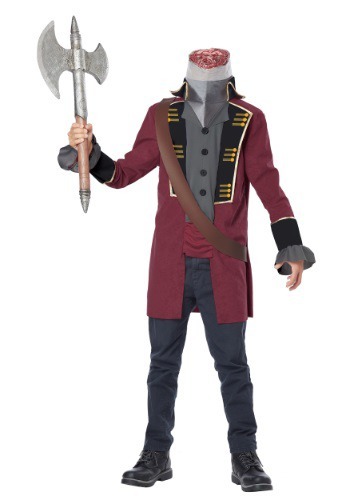 No need to see a man about a horse, as another style of the Headless Horseman costume features an attached horse ready to ride into any party.